The primary industry of the Islands is its fisheries. The fishing industry dominates activities on the archipelago. It supports the economy and shapes the Islanders' way of life. Visitors will feel its pervasive influence in language, cooking, and numerous fishing ports. Fishing is a subject of curiosity, a reason to explore. Take a walk around the many wharves, where you can often enjoy a pleasant chat with the fishermen. For seafood lovers, fish markets, restaurants and fish plant outlets offer a variety of fish and seafood. Here is a brief description of the different types of fishing carried out around the archipelago. 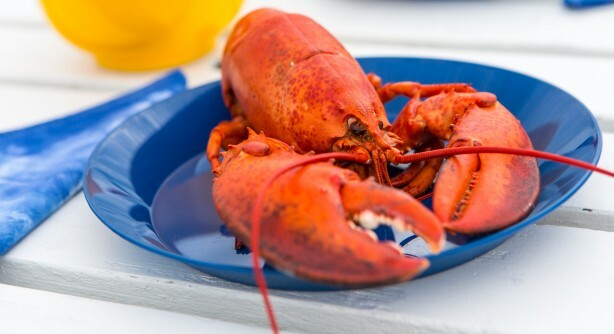 The lobster season, which runs for nine weeks, is strictly regulated. A total of 325 fishing licences are issued for the Islands. Each boat sets the same number of traps. That number was 300 per permit in 2005 and will be reduced by three each year until 2014 (now 273 traps), in an effort to preserve the resource. To learn more about, visit our page Lobster of the Islands. This deep-sea shellfish has been harvested commercially in Les Îles for several decades. Fishermen travel far from the islands' shores to set large traps. The snow crab lives in very deep water (45 to 275 meters). Fishing period is in April or May, as soon as the ice disappears from the Gulf. The season ends as soon as the fishermen reach their quotas. Licensed fishermen may drag for scallops for a period of up to 14 days, spread out from April to July. The scallops are usually shelled at sea. The "scallop" that most people really enjoy eating is actually the mollusc's adductor muscle or the meat. Scallop farming methods in Les Îles de la Madeleine now make it possible to market these shellfish year-round. The farming process begins with putting out collectors offshore from the Islands in October so that juvenile scallops (spats) drifting with the currents can attach themselves to them. After one year at sea, the collectors are brought back to the plant, where the scallops are sorted and suspended in the Havre aux Maisons lagoon. The temperate lagoon environment is rich in nutrients and encourages optimal growth. It takes from one to four years of growth in suspension for the spats to reach marketable size, depending on the type of product. Since the spring of 1984, blue mussels have been farmed in the lagoons of Îles de la Madeleine. Suspended in water while it grows, the farmed mussel is free of sand and offers two to three times more meat than the wild mussel. The technique used for farming mussels is rather simple. The mussel farmers put collectors into the water to attract and fix young mussels. The collectors are placed in the water in June or July, and are taken out when the mussels are between 15 and 25 mm (0.5 to 1 in.) long. They are then placed in growing rolls made from biodegradable netted sacks and suspended in lagoons for one year before reaching commercial size (50 mm or 2 in). Clams (quahogs) are harvested on the shores of lagoons. Even though shellfish digging is authorized almost anywhere in Les Îles de la Madeleine, some zones may be closed off due to contamination. A new regulation, in effect since 2004, allows recreational harvesting of 300 clams, measuring a minimum of 51 mm (2 in. ), per day per person. It is possible to buy clams in the different fish and food markets on Les Îles de la Madeleine. If you see this sign, you should know that it indicates that shellfish harvesting is prohibited in this sector. Before harvesting shellfish and to avoid any possible health risks, please find out if your zone is safe by calling Info Mollusques: 418 986-3882 or 418 986-2095. In the 1970s, a drastic drop in the stocks led to the destruction of most of the smokehouses in the archipelago. Towards the middle of the 1990s, signs that the stock was rebuilding gave renewed life to the local smoking industry. Ten years later, herring landings have once more lagged. Today, a traditional smokehouse produces and markets smoked herring in various forms. 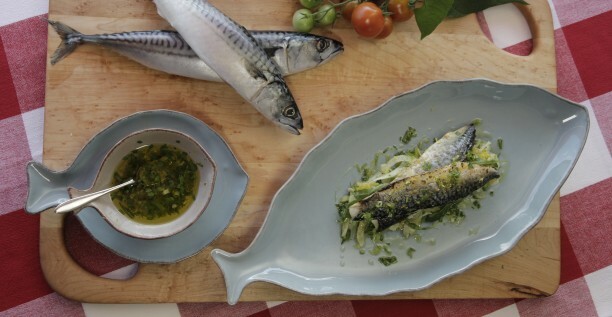 Mackerel is a pelagic species found off the coasts around the end of summer. Mackerel is mainly harvested using a hand-line technique in most ports in Les Îles until mid-autumn. Sports fishers may even catch mackerel directly at the end of the wharfs. Ground fish, considered the mainstay of Les Îles' fishing industry until the beginning of the 90s, were victim of overfishing. A moratorium has been imposed on ocean perch and cod fishing so as to allow the stocks to regenerate. Other ground fish species like Atlantic halibut, American plaice and winter flounder are all commercially harvested around the archipelago. Recreational fishing is generally authorized a few weeks per year, with a limit of 15 ground fish per boat, for a maximum of 5 cod. Atlantic halibut must be put back into the water. To find out more about the opening dates and conditions, please contact the Fisheries and Oceans local office at 418 986-2095.